Think of mid-century modern as the Mad Men era. 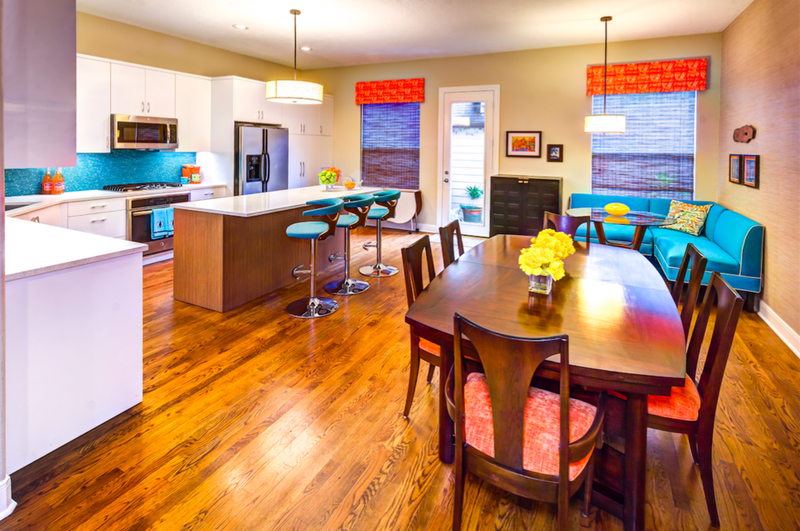 The newly suburban lifestyle of the 1940-60's birthed stunning interior designs that are now valued as vintage. The homeowners of this lovely home are not jumping on any trends, however, they have been collecting for years! We incorporated all of their unique pieces into the kitchen and living room. From the bar stools to the telephone, each piece takes you back in time. 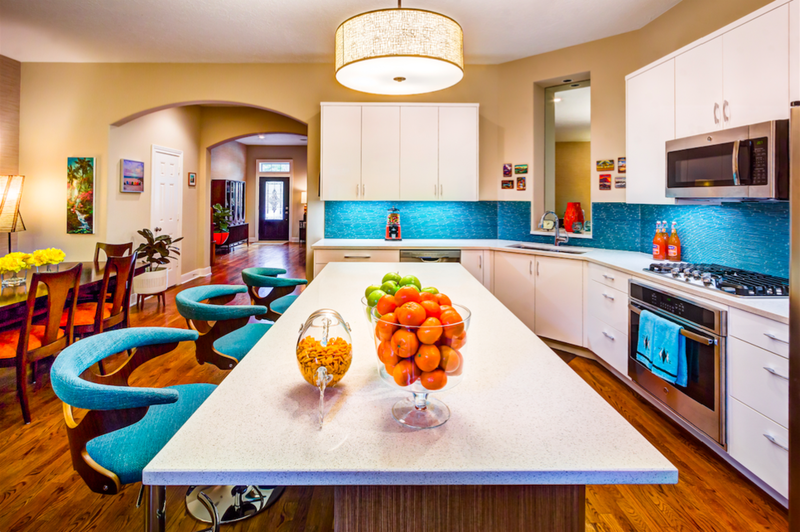 The kitchen's turquoise tile backsplash pops beautifully against the white countertops and cabinetry. Amazing art from the era is displayed throughout and guides you into the living room, where we installed a stone fireplace and floating shelves. Mrs. Draper would undoubtedly approve!